We spend a fair amount of time at Thanksgiving Point, it’s one of our favorite places to play and learn in Utah with kids. Keeping kids occupied + happy during the summer? Fabulous. Having them occupied + learning at the same time? Superb. 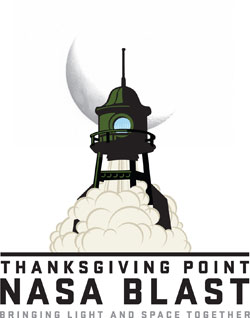 Thanksgiving Point is doing the coolest program right now with NASA called NASA Blast. It goes through December, and would be the perfect way to keep your little smartypants kids engaged this summer. I can’t wait to take my kids.